Sessions get booked months in advance. Reserve yours now! Are you wanting spiritual healing and self-actualization that brings transformation to your life in a profound and long-lasting way? Are you feeling emotional heartache, lack of personal power, boredom, lack of clarity? A Shamanic Session may help you overcome this challenging moment. Shamanism is the oldest spiritual practice, used all around the world for healing and divination. Experience a Shamanic session with Victoria Vives Khuong, Shamanic Practitioner. This session may include Soul Retrieval, Extraction, Power Animal Retrieval, Heart Retrieval, and Divination as needed regarding a particular matter. The maximum length of the session will be 2 hours. Complex subjects may need more than one session. Once you place your order, you will receive further details including how to prepare in order to obtain the best results. When the session is completed, you will receive detailed instructions on how to integrate the healing to make it long-lasting. THE MOST POWERFUL RESULTS OCCUR WHEN DIFFERENT MODALITIES OF HEALING ARE COMBINED AND TAILORED TO EACH PERSON’S SPECIFIC NEEDS. ALL OF MY SESSIONS ARE PERSONALIZED AND AROMATHERAPY FORMULAS, CRYSTALS AND/OR OTHER HEALING REMEDIES MAY BE RECOMMENDED AS AN OPTION FOR THE CONTINUATION OF THE HEALING BETWEEN SESSIONS. Currently, the next available sessions are for next month. Contact me to reserve yours now. Experience a Healing session at Heaven On Earth center, located in both, West Covina, CA, or anywhere in the World through Distance Healing. Energy Healing has no limitations of space or time, so you can receive its benefits from the comfort of your own home. REIKI is a Japanese technique to achieve relaxation and wellbeing at a physical, mental, emotional, and spiritual level. Balance each of your chakras and recharge your soul, your body, and your mind, with beautiful Healing Crystals! Some of the most profound transformation at a physical, emotional, mental and spiritual level, occurs thanks to sound. Sound travels through our tissue, bones and blood and has the potential of changing the make up of our energy from illness into harmony. It can transform our agitated thoughts and stress into inner peace and calmness connecting us with the essence of who we truly are. 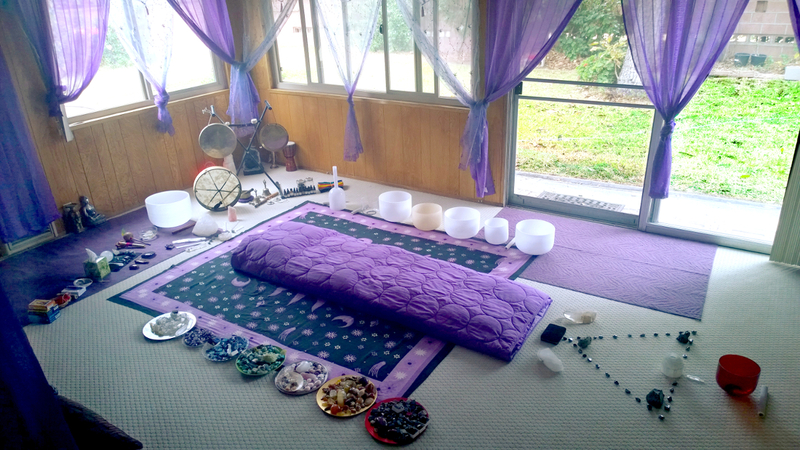 Sessions may also include House Clearings and Blessings, IEH (intuitive energy healing), Aromatherapy, Chromotherapy, Hypnotherapy, Regression, QHHT, EFT and other.